Feeding on meat meant assembling at the slaughter site or some nearby bivouac, and thus with little time for gathering berries, nuts, fruits or other plant foods. Like some modern hunting peoples, they put away prodigious quantities of meat precisely because storing was a problem. This is what the structure of our kidneys shows, with all the extra glomeruli on the periphery, for the extraction of excessive urea resulting from bingeing on meat. When meat was not available they fell back on savanna foods, or these of the nearby forest. But that effectively separated carbohydrates from animal proteins and fats in their individual meals. In other words, they maintained a balanced diet, but with hardly ever eating a balanced meal. This obligatory partition of our principal nutrients necessarily lasted for as long as our ancestors lived in similar circumstances, perhaps more than three million years, or one hundred thousand generations. Enough time it seems for changes not only in our nutrition patterns, but also in our genetic code. A form of nutrient separation lasted virtually to own our days. Aside from peoples that lived mainly by hunting, most other people ate meat sparingly, even among pastoral societies. Domesticated stock has always represented wealth, a kind of walking bank account, which was not readily killed for food except on special occasions. Many an old-timer may remember that the meat-eating days of a year were feast-days, and in some areas they were rare enough to be counted. This was disrupted by 20th century concerns with "protective foods," and "balanced diets," which helped establish the "balanced meal" as the basis of our nutrition. In other words, the mixed meals with the right if changing proportions of proteins, fats and carbohydrates, and with improving knowledge, all the essential micronutrients and fiber that logically led to a balanced diet. No nutritionist doubts the necessity for a balanced diet. But when did our ancestors ever dine on a string of balanced meals? A balanced diet is our inheritance from our long line of ancestors and a prerequisite for survival. The balanced meal by contrast is a 20th century invention, and as close to a well-meant and carefully planned folly as one is likely to find, as it will be explained in the appropriate sections of our Research Center . In modern times, several researchers have advocated separating animal from plant foods. One of the best known is William Howard Hay, an American physician of the late 19th century. Riddled with health problems, he defied medical orthodoxy, curing himself from overweight and serious heart ailments by practicing food separation, which later became known as the Hay Diet . But the medical and scientific circles of his and later days have never accepted Hay's thesis, because it was not based on scientific methodology. It was empirical, anecdotal, and most important of all, it did not fit at all the medical preconceptions of the times. Besides Hay, like a true American original, was not at all averse to showing his contempt for contemporary medicine and no less for its practitioners. They reciprocated by branding him a quack. Yet Hay's hunch has a solid basis in our past, and even though neither he nor any of his followers had the slightest inkling about what that was. A kind of nutrient partition traced back to Hay is also widely and popularly known today as Food Combining, where one continues to eat more or less the same foods as formerly, but in different groupings. We stress the partition because scientifically speaking, this is what is important. The partition refers to eating animal proteins and fats separately from starches. It does not favor the use of proteins and fats and the avoidance of starches, or the reverse, like some recent studies advocate, but eating both only in separate meals. It is extremely important to understand this, for some health professionals favoring animal protein diets, maintain that we can balance our diet by taking some vitamins and minerals. The truth is that nothing, but absolutely nothing, can take the place of the thousands of useful phytochemicals we get from the plant kingdom. The lack of many of these from our exhausted soils is one reason for the poor state of our present foods, and the still poorer condition of public health today. Dr. Phillipson found that nutrient partition, together with the glucose reaction of foods, help level the glycemic response so that blood glucose remains within relatively narrow limits. This slows down the release of pancreatic insulin and avoids the effects of such ills as hyperinsulinemia and insulin resistance, balancing the metabolism and thus preventing weight gain. In addition, when the digestive system is unburdened from the ingestion of mixed foods, some nutrient absorption improves rapidly, and with it our immune system and responses. This is of benefit to many disorders that depend on the immune system for their management and recovery. 1 .Phillipson C & J 1998. A Testament of Savagery: The Folly of Balanced Meals. [The Road of Food Habits in the Mediterranean Area. 7th Meeting of the International Commission on the Anthropology of Food, Naples, May 26-30, 1997]. Rivista di Antropologia 76 (Suppl):283-291. 2. Grant D & Joice J 1984. 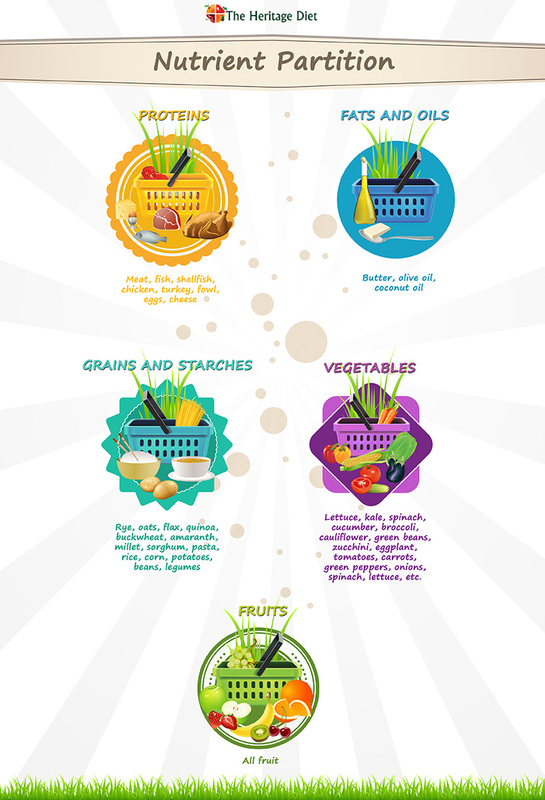 Food Combining for Health. London. 3. Chew I, Brand JC, Thorburn AW, Truswell AS 1988. Applications of glycemic index to mixed meals. American Journal of Clinical Nutrition 47:53-56.